Congratulations to our students who have contacted us to share their wonderful success with this past semester! We are very proud of our students and we are glad that we were able to help provide study aids that gave our customers an edge on the competition to ace their classes this past Fall semester. We are continually making updates and changes and we are very much looking forward to next semester. Many students who took Orgo I this past semseter will find that they can still continue to use our program into the next semester. Altough we focus on topics typically covered during first semester organic chemistry, we also highlight many reactions and topics covered during second semester. So be sure to review your course syllabus and compare it to Wha’ts Covered in our program. If you are running close to your end date for your access or if yours has already expired, be sure to purchase additional studying time by logging in to your account homepage. Of course we are very thankful for the many success stories we have heard from our students, and we would be very interested to hear yours! Feedback is not only important for our program development but it is also vital to future students as listening to stories from peers can help. Please submit your story to us here, and please be as detailed as possible. We are also looking to feature some select students on our site by using our new video testimonial option. Should you be interested in this please contact us. As always, please feel free to contact us at anytime with any questions you may have. 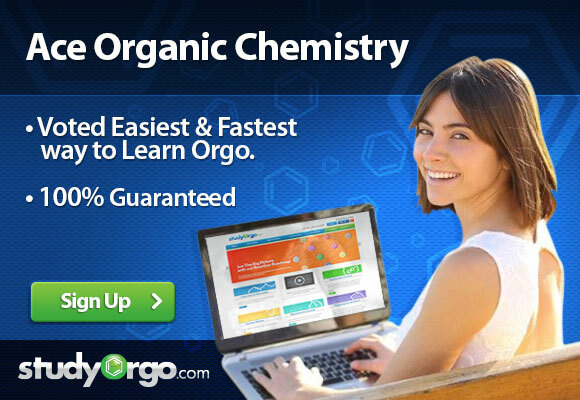 We want to wish you and your family and happy and healthy new year filled with organic chemistry success!